Invite our Unicorn Princess to your party and receive $10 off on party packages over $100 with the mention of this promotion! Invite Tinkerbell to your party and receive $10 off on party packages over $100 with the mention of this promotion! ​Includes your choice of face painting, balloon twisting, make-up, nail painting, princess etiquette lessons, story, or games. ​Have our magical unicorn princess to your birthday and choose from face painting, balloon twisting, or some nail painting and make up for unicorn sparkle makeovers! Can also include games or a story! Your choice of face painting, or balloon twisting with our Polynesian Princess! 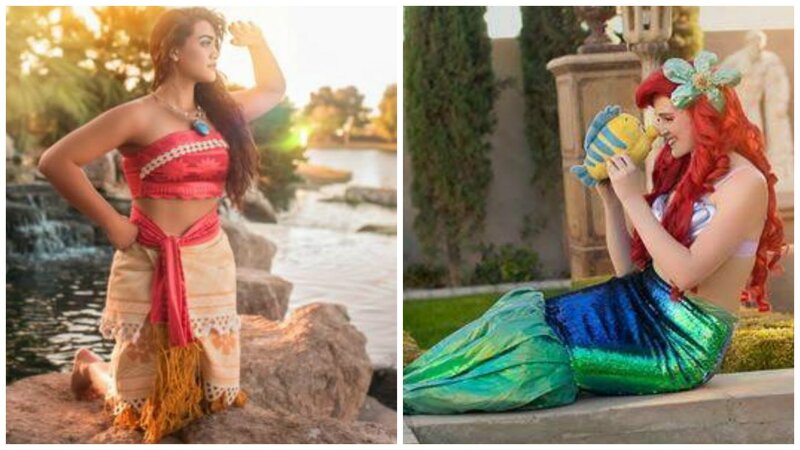 Invite our two ocean loving friends, the mermaid princess and Polynesian princess, to your event or party this summer! Includes either face painting or balloon twisting depending on the number of kids, and a Hula lesson! Celebrate your special day with our Snow Sisters! ​Balloon twisting AND face painting are included! ​You will have your choice of winter, spring, or coronation outfits and singing can be added for an additional $10 per princess. ​This wildly wacky new package includes bunches of activities that will make your event the biggest most magical party ever! This package includes games, a story, a troll training course, a special song, and plenty of hug time too! ​​Our Easter bunny will help make your Easter day hunt a special one! Price includes Easter Bunny Helper to help the bunny and run lines. ​Add an Easter face painter or balloon twister for an additional $80 per hour! Includes spring face paint or balloon twisting!! Your little hero will be so excited to ​meet their favorite superhero! ​​Recommended age 3 and up. ​Your little one will love this Party package! Our space knight and dark trooper will train your young ones in the way of the force. When training is complete, they will get a chance to battle the dark trooper! Includes balloon twisting, and the space knight training! ​Invite the teen villains to your party! ​This party package includes face painting, balloons twisting, games, and lots of wicked good times! Invite a princess and her prince to your event or party! This package includes story time, and both face painting AND balloon twisting! ​Have your princess sing for an additional $10! Listen to one of our beautiful princesses sing and watch the magic come to life! Package includes singing the princess's featured movie song, as well as your choice of face painting or balloon twisting. ​Have one of our talented face painters or balloon twisters attend your party out of costume. Our entertainers are trained and ready to show their skills at your party with designs for boys and girls of all ages! ​Our courageous princess will attend your party or event and teach your little one an archery lesson! This package includes archery and a choice of face painting or balloon twisting! Invite one of our swimming mermaids to your next pool party! ​This package includes pool games and a mermaid training camp with the children. ​We have the highest quality silicon tails for all of our mermaids, never fabric! Invite our two fairy princesses and your party or event is sure to be flitterific! This package includes face painting, balloon twisting, fairy training, and a story! Our characters can never get enough of tea time! Includes your choice of 2 characters. Includes tea set, a princess etiquette lesson, story, your choice of face painting or balloon twisting AND make up or nail polish! Ballet lessons with one of our talented princesses! Includes a short ballet lessons for your little guests, and your choice of face-painting or balloon twisting. Our pirate package is an exciting adventure! Our pirate comes with a treasure chest full of gold, and a real treasure map! Package includes balloon twisting, and a treasure hunt with a treasure chest full of loot! This package, with Snow White and the Evil Queen herself, includes both face painting and balloon twisting. Add a face painting elf for $80 per hour!